Luqman Adeboye Bada is a father of three and dress maker. He has been battling with kidney problems since 2018. Luqman needs financial assistance from good-spirited Nigerians, governments and corporate organisations to survive. Bada says he and his family have exhausted their financial capacity. 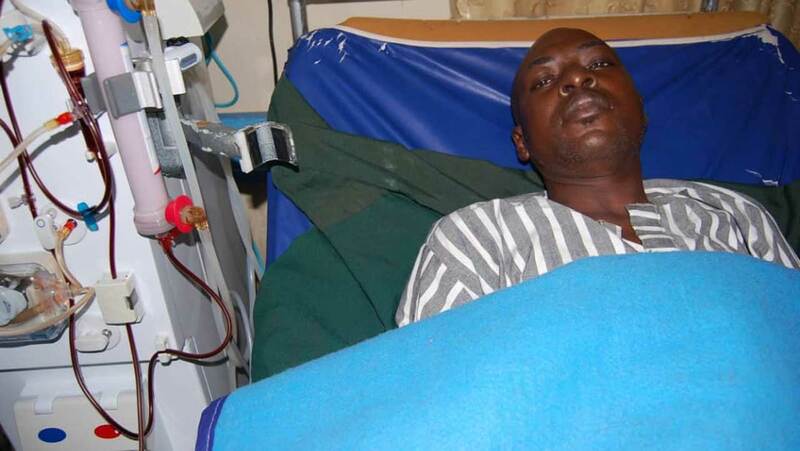 He said his doctor advised him to undergo twice every week, adding that he needs N10 million and a donor for a kidney transplant, which is a better option. Luqman said he was his family’s breadwinner regretting that his sickness is also affecting his children’s welfare. “My children are young and my wife can’t bear this birden alone, your widow’s mite will go a long way in alleviating my pains,” he cried. You can pay into Bada Luqman Adeboye, FCMB bank account, account number: 0702760010 or call 08068499058 for further information.